Road tripping through British Columbia. You're sure to see some glacial peaks if you road-trip British Columbia in the late autumn and winter. 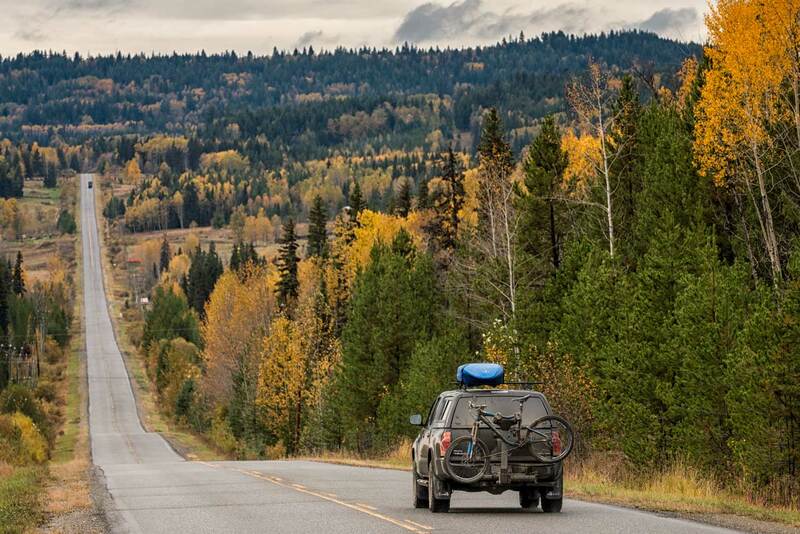 The long winding roads of British Columbia. The interesting entrances that greet you during a British Columbia road trip. 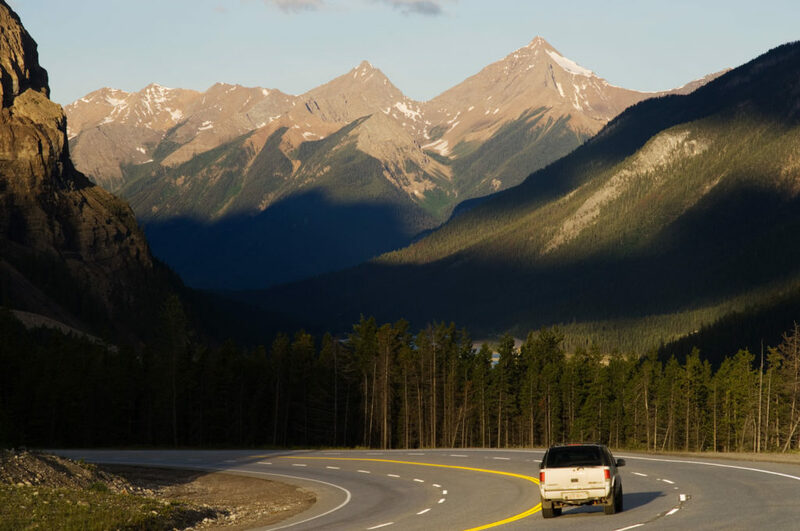 A British Columbia driving holiday seems to bring endless choices, and it’s clear that Canada’s famously scenic Pacific province is made for road tripping. Natural hot springs, farm-gate wineries and artsy little towns can’t help but coax you to linger a little longer, and historic lodges, cosy B&Bs and alpine resorts help by offering memorable overnights. You won’t see much traffic on some of BC’s backroads, but there’s plenty of wildlife – think bighorn sheep, moose, eagles and bears – to keep you company. And when the highway ends, BC Ferries cruise the coastal straits and inlets to keep you journeying. The classic BC road trip starts in Vancouver, the province’s biggest urban centre known for its dramatic ocean and mountain setting – snow and sand in one spectacular city. Tour its diverse neighbourhoods and check out the restaurant scene (the Chinese fine dining here is legendary) before hitting the road to BC’s sun-blessed interior. The little town of Osoyoos, surrounded by Canada’s only desert, is unmissable simply for its dozens of wineries producing award-winning merlots, pinots and more. Try the chardonnay at the First Nations-owned Nk’Mip Cellars and learn about the area’s unique ecology at the Osoyoos Desert Centre. You’re sure to see some glacial peaks if you road-trip British Columbia in the late autumn and winter. Next stop: Nelson, a lakeside town in BC’s Kootenay Rockies region. Famed for its heritage buildings and counter-culture vibe, Nelson is home to four microbreweries, including the aptly named Backroads Brewing Company. Take the hint, and head up one of those quiet backroads to wind north from Nelson, along a string of shimmering lakes. Make the time for a soak at Nakusp or Halcyon hot springs, ride the ferry across Upper Arrow Lake, and join the Trans-Canada Highway at Revelstoke, a town rich in railway lore. The next stage brings classic Rocky Mountain scenery as you drive through Mount Revelstoke and Glacier National parks en route to popular, outdoorsy Golden. Here you can shoot rapids on a river rafting expedition, learn about local wildlife in the nearby Columbia Wetlands, or head to Kicking Horse Mountain Resort to hike, bike, or dine at the highest restaurant in Canada. Refreshed and flushed from adventure, you can then continue on along the western flank of the Rockies before crossing the continental divide to finish in Banff, Alberta. 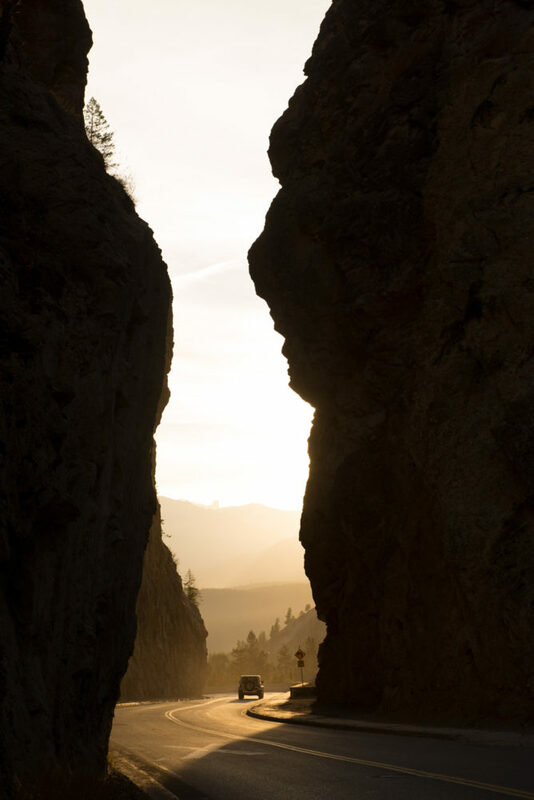 For a road even less travelled, consider the journey north to the rugged canyons and forests of BC’s Cariboo Chilcotin Coast region, one of North America’s largest tracts of untouched wilderness. You can start your adventure at Whistler, the famous four-season mountain resort, just two hours from Vancouver on the stunning Sea-to-Sky Highway. Put aside some summertime days to ride the Sea-to-Sky or Peak-2-Peak gondolas, bike the Valley Trail, hike its wildflower meadows, and put in quality time at the spas, galleries, shops and any of 90 restaurants in the pedestrian-friendly village. The award-winning Araxi Restaurant and the Bearfoot Bistro are top of the list right now. Beyond Whistler, Highway 99 stretches into the remote Cariboo Chilcotin Coast region, taking you to a land of vast cattle ranches, multi-hued canyons, and rich Gold Rush history. 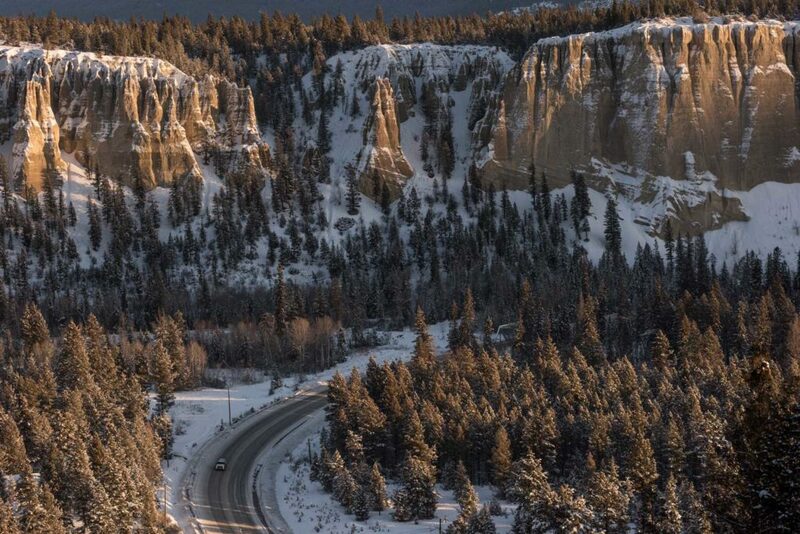 Choose a historic lodge to stay the night, explore the sculpted rock formations (called Hoodoos) of Farwell Canyon, and then turn west along Highway 20 (called ‘The Hill’ for its dramatic series of switchbacks) and head for the coast. The road ends at the Pacific fishing port of Bella Coola. Spot grizzlies with a local guide and learn why BC’s Central Coast is called the Great Bear Rainforest, then set sail in the morning on BC Ferries’ day-long Discovery Coast Passage service to Port Hardy on Vancouver Island via a deep coastal fjord and through BC’s Inside Passage, surrounded by eagles, whales, sea lions and more in one of the most pristine environments on the planet. Once on Vancouver Island, the white sand beaches of Cape Scott Provincial Park give you room to stretch your legs, then drive south past the coastal villages and forested hills of North America’s largest Pacific island. Choose a dinner spot in Victoria, BC’s charming island capital, and for heaven’s sake, take your time coming home. For more information, check out Momento Travel.